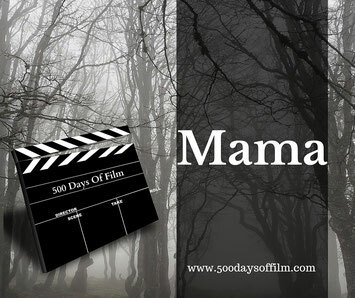 500 Days Of Film Reviews Mama And Finds An Enjoyable And Scary Chiller. When his brother and two young nieces go missing, Jeffrey refuses to give up hope of finding them alive. At great expense, he hires a private detective and is overwhelmed when the girls are discovered in a house in the woods. They are wild and have been left psychologically damaged by their horrific experiences. Despite this and his girlfriend Annabel’s concerns, Jeffrey wants to give them a chance of a normal life. However, there is nothing normal about these girls or the horror that they bring with them. I have a new routine - horror movie Fridays. I find that a Friday night is the perfect night to watch a scary film. They certainly keep me awake after a long week! I was looking forward to Mama for two reasons. First and foremost because of the association the film has with Guillermo Del Toro. For me, his name is a guarantee that a film will be scary, have emotional intelligence and also introduce some truly awesome monsters. Mama didn’t let me down. The second reason that I was looking forward to Mama was because it stars Jessica Chastain. She is fast becoming one of my favourite actresses*. As Annabel - the cold, detached aunt - Chastain brings a layer of gravitas to a role that could, in less capable hands, have been pretty two dimensional. The film also relies on the strong performances from its two lost girls. Thankfully, they were both superb - scary and vulnerable, chilling and needy. I have to admit that the feral way the girls move when they are discovered really freaked me out. “Very few horror movies would last past the second act if the characters in these films were actually fans of horror movies. For me, Mama succeeds because, despite being full of horror clichés, it still works, is enjoyable and scary. Of course, the film knows that it is playing within normal horror conventions - it even has some fun with them. For example, when Annabel is obliviously sorting laundry, we can see something sinister going on in another room. That sinister thing is actually a wonderful monster to behold (if you are brave enough to look). She has classic Guillermo Del Toro traits - she is beautiful as well as monstrous and she moves in a truly unsettling way. In addition, she has complex motives and never does quite what you might be expecting. Mama is another example of a horror film (I’m thinking here of The Awakening) that relies on atmosphere rather than gore to be scary. While I have nothing against the red stuff (I loved The Descent for example) I am all for movies that chill rather than sicken. It is true that the film ticks a lot of generic horror boxes. However, the plot devices never feels eye rollingly tired. Mama is an extremely watchable and very enjoyable scary movie - right to the really quite heartbreaking end. This film looks stunning - stylistically very much a Del Toro product. I loved the opening sequence with the car on the icy road. Breathtaking. *Seriously, is there nothing that Jessica Chastain can’t do? I have enjoyed her performances in so many films recently (The Tree Of Life and Take Shelter to name but two) and love the fact that she completely disappears in her roles. Have you seen Mama? What did you think? Did you find it scary and enjoyable like me? Whatever the case, I would love to know - there’s a comments section below!